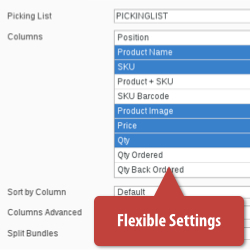 Note: The 'Picking List' (provided by this add-on) should not be confused with the standard 'Packing Slip' feature of Pdf Customiser (Magento 2), which allows you to print a Packing Slip document. Existing Magento 1 Pdf Picking List customers receive an exclusive discount on upgrading to this Magento 2 extension. Email us at support@fooman.co.nz and we'll hook you up! No - unlike our Magento 1 extension, Pdf Picking List (Magento 2) works independently of Fooman Pdf Customiser. 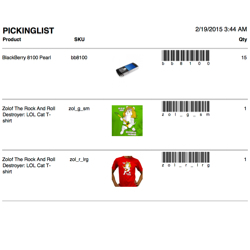 You only need Pdf Picking List to create a Picking List. Easy to setup & use, and excellent support. We had the M1 extension on our old site, we reviewed other vendors extensions when we upgraded to M2 and decided to stick with Fooman. We had a couple of minor issues but Kristof & his team sorted them out quickly, and added a couple of features we asked for.